In his public life, Joe Biden can generally be counted on to do some version of the following: call bad men “good guys,” use the moniker “Middle-Class Joe” to describe himself despite now being very rich, touch women inappropriately and often uncomfortably, and refuse to fully take responsibility for his role in how Anita Hill was treated in 1991 during the confirmation hearings he oversaw for Supreme Court Justice Clarence Thomas. If this sounds familiar, it’s because it’s the same excuse he’s given over and over when he talks about Hill. It’s not an apology, but rather a somber man reflecting somberly on how things had to be. Biden, in his telling, was a victim of circumstance, much like Hill herself. The 1991 hearing was more like a trial—Hill versus 14 white men in a committee headed by Biden, who rushed the process against the request of his female colleagues; did not block offensive, invasive questions and comments from his colleagues; did not include key witnesses who backed Hill’s experiences; and, at the last minute, switched the order of the testimonies, allowing Thomas to preemptively discredit Hill and defend himself. 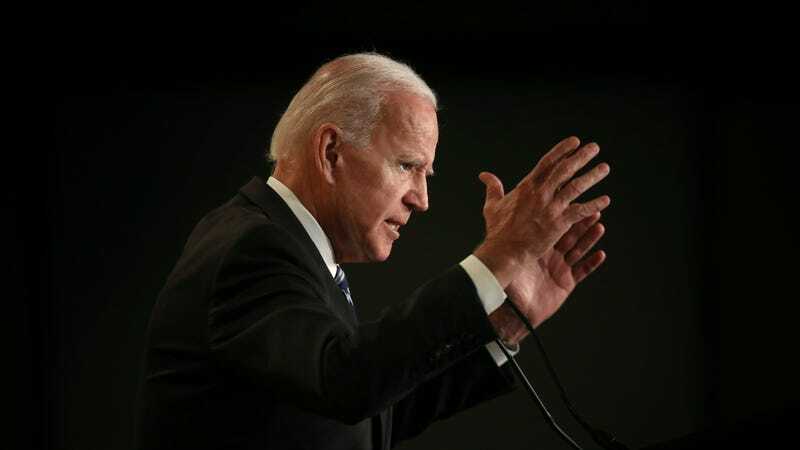 Biden has said that in response to the hearings, he championed the Violence Against Women Act. That’s to be commended, but surely it shouldn’t be difficult for him to say something along the lines of: I really fucked it up, and I’m sorry, and I’ve learned a lot and grown since then? On Tuesday night during his speech, Biden called for a culture shift to prevent violence against women. “It’s an English jurisprudential culture, a white man’s culture. It’s got to change,” he said. Maybe be the change you want to see, Joe?